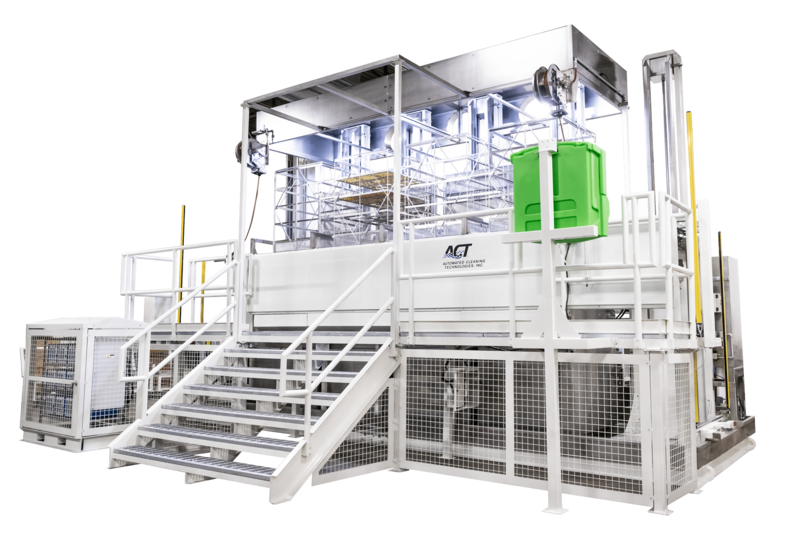 AT ACT we specialize in engineering and fabricating custom built cleaning solutions to solve your unique cleaning applications. 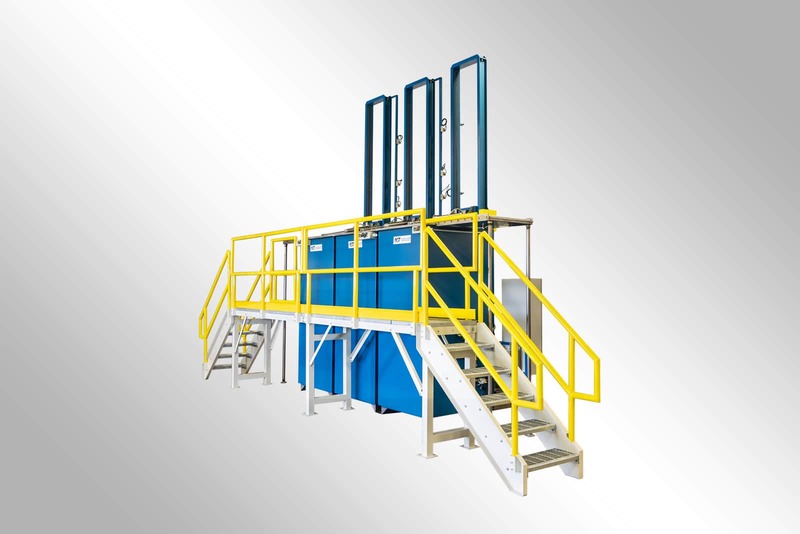 Our industrial cleaning machines range through a wide variety of cleaning processes such as direct spray, immersion, passivation, and so much more that can all be customized to solve some of the most complex cleaning applications on the market. Do you have highly specialized parts that require cleaning? ACT specializes in building customized industrial cleaning systems to solve your unique cleaning application. Our highly trained engineering staff will collaborate with our fabrication team to build out a custom system that is not only practical but also utilizes state-of-the art technology! Need A Special System Built to Clean Your Custom Parts? Custom Industrial Cleaning Systems Built Specifically for You! Allows you the ability to have your ultrasonic power units to be locked up and secured. Allows you to easily access larger machines with additional built in platforms. 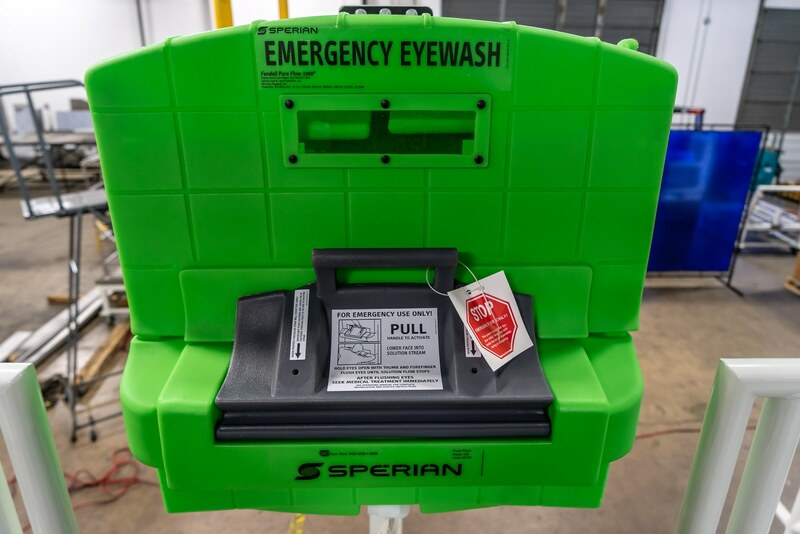 Eye wash station is additional equipment that can be added as a safety precaution. 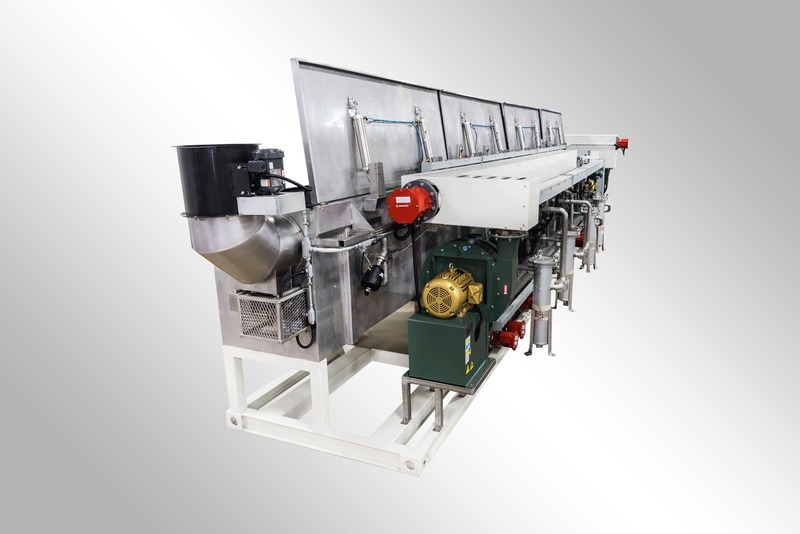 This machine was built to be able to clean 4 30′ tubes at a time. The tubes are cleaned by the underwater jets that are pushing water flow at upwards of 200 gallons per minute. 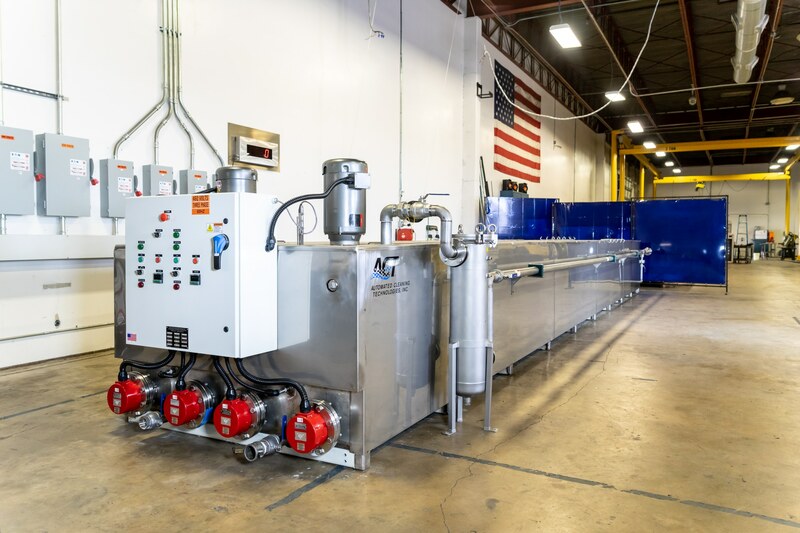 A line cleaning system that was specifically built to wash large aluminum tubes that are used in the automotive industry to run hydraulic lines for cars. 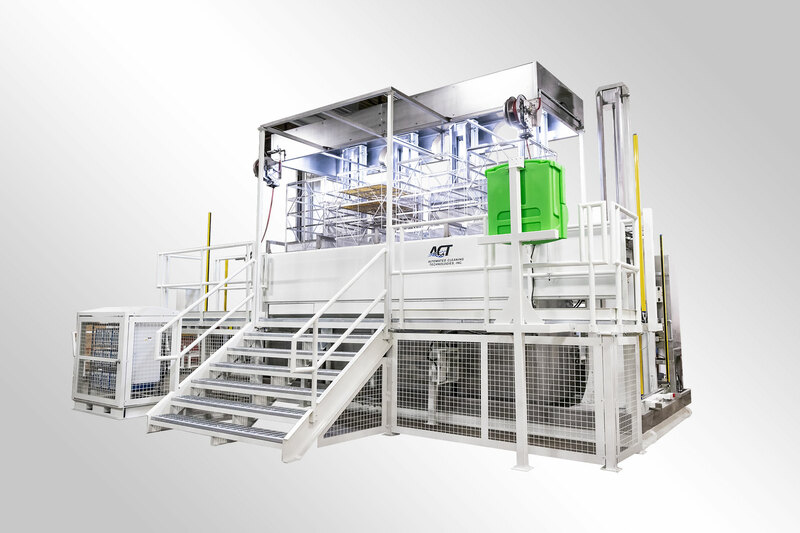 ACT’s TCS system is an automated industrial parts cleaner with integrated PLC control system. 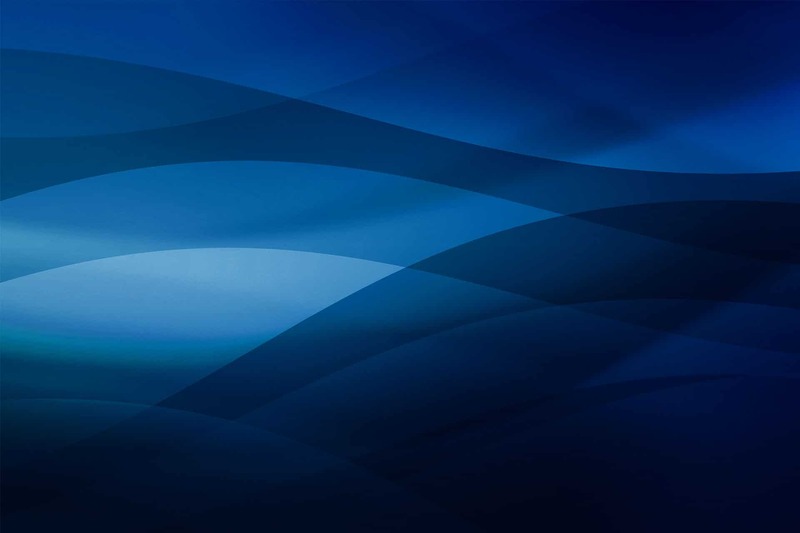 What are the benefits of building a custom industrial cleaning system? 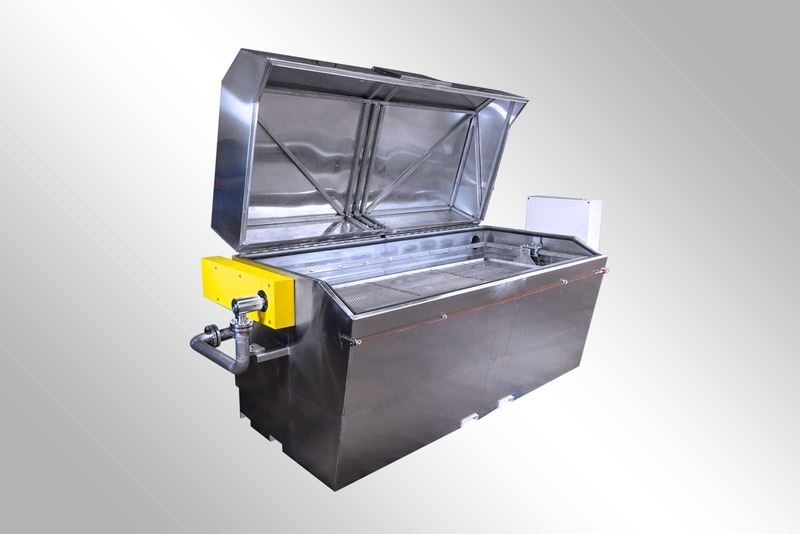 One of the biggest benefits of building a custom industrial washer is that the machine is built specifically to clean your custom parts and provide you with a superior cleaned product. 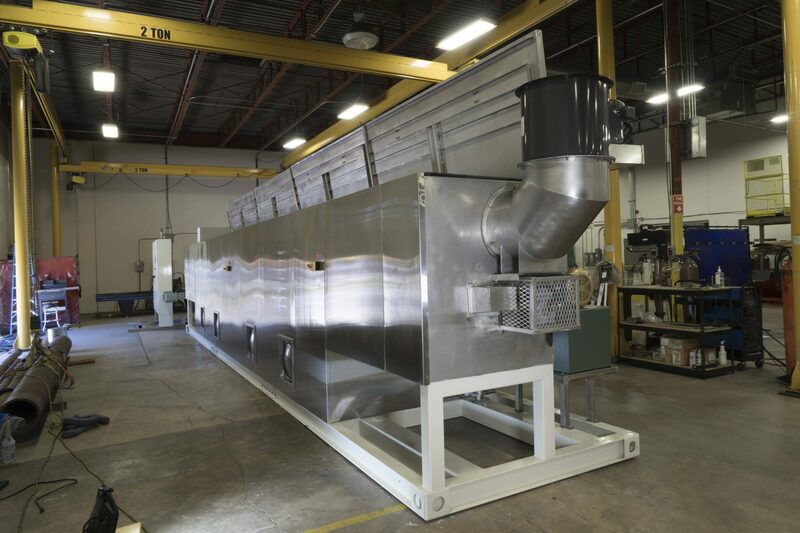 Custom machines also allow you to add more additional equipment such as vent hoods, eye wash stations, large mezzanines, and so much more to really make your industrial cleaning system one of a kind!